"This was my daughter 1st year. We will be back!" 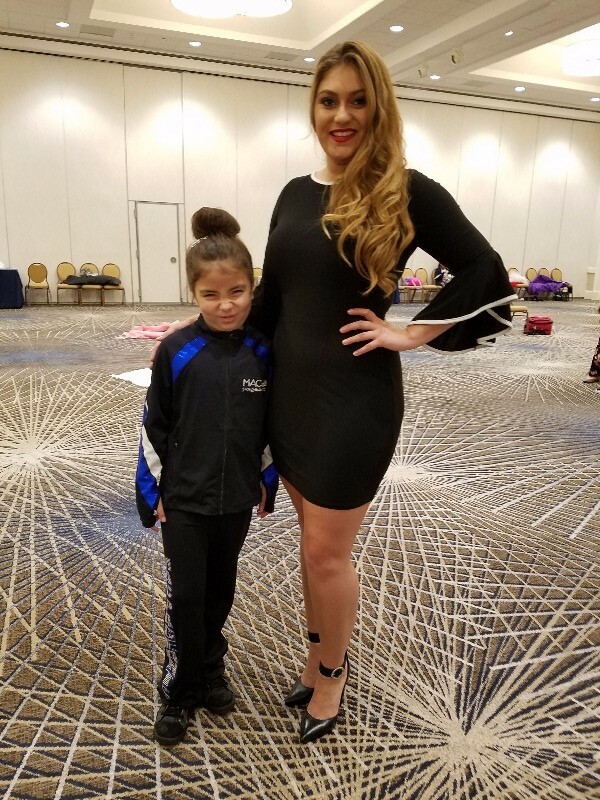 "My daughter look forward ever year to Nationals this was her 3rd year she saw friends from the last 2 year and made more she say goodbye to the preteen and is looking forward to the coming year as a Jr teen awesome director wonderful staff very enjoyable time!" 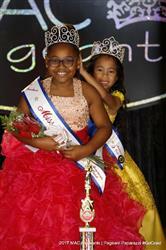 "Everyone was amazing and we couldn’t be happier to have Ajahya part of such an amazing pageant system! So happy to be part of this family and watch our little princess grow "
"It ran so smoothly, met great new friends, and want to thank Patty Hawkins and the Mac staff for a fun time at nationals and in Florida "
"I have been competing with the Miss American Coed pageant organization for the last 16 years and am currently the Miss New Jersey Coed! This pageant has become my second family. Every year I look forward to coming back and seeing familiar faces who always give me a warm greeting and an even warmer hug. This pageant teaches young ladies how to become self confident in themselves and encourages us to go out and make a difference in our community. I owe so much of who I am to this pageant organization and I cannot thank them enough for everything that they do for their contestants. I encourage any young girl who is interested in competing in a pageant, whether it is her first time competing or she is a seasoned vet, to look into the MAC organization. Whether you walk away with the crown or not, I can almost guarantee that you walk away with friendships and memories that will last a lifetime. Once you compete in a MAC pageant, you are family! " "My daughter has gone to this pageant for 2 years she has meet and kept in contact with all and looks forward to meeting and see them each year they are encouraging and fun and they are competing but are helping get each other. They have been great memories for all of us and love going. The staff is so nice and helpful to answer questions encourage your daughter! Ms Patty is always helpful a day want everyone to have the best experience they and there family can have. Thanks know you for 2 great year looking forward to our 3rd see you soon!!" "Mac is seriously that best experience I have had in my entire life. I am beyond happy that I decided to participate this year! I have met amazing girls who I know I will keep in touch with for a long time. I would recommend Mac for any and every young woman wanting an experience of a life time!" "MAC Pageants is an amazing pageant circuit. This is our 2nd time participating with them. They make you feel like family. My husband recently received a prosthetic leg. The staff made sure to make him feel welcome. They set up seating so he could see our daughter. He assisted him up and down the stage. Amazing group of people! Happy to call them family. Now as a mom to royalty, we will be seeing more of them!" "It was good. The staff make every effort to make sure everything when smooth even though half the equipment was missing. The staff tip things moving and upbeat and any time I had a question it was easily answered." 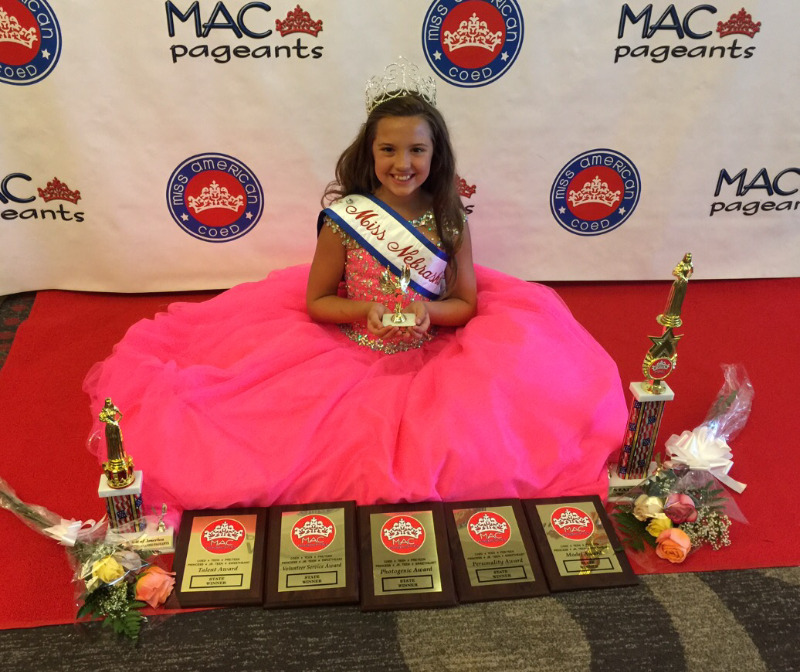 "My 7 year-old daughter was the competitor, and she had done other natural pageants before, but had a particularly fun time at MAC because of its smaller size. 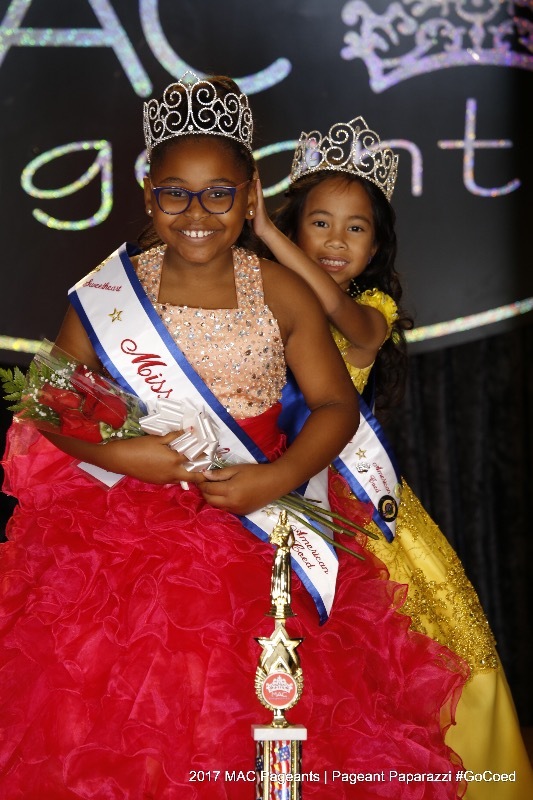 She got to know the other contestants and the stress level was minimal because everything was so well-run, with updates to parents regarding times and locations of events, and everything went on time. As a parent, I particularly liked the fact that the workshops and rehearsals are run by an adult (a former judge from nationals at that! ), so the girls truly get good feedback during practices and everyone is hearing the same thing. Also, I like parents NOT being allowed to watch the rehearsals for the opening number, so the girls can be themselves and it gave me a break for some solo Starbucks downtime! Plus it was enjoyable to watch the opening number with a "fresh" eye. Had a fun weekend. " "This is the best I found i in 1986 my daughter was a princess and in 2016 my granddaughter both times were excellent pageantry. Thanks for all the years and fun. Happy mom and very happy grand mom." "My children have competed in MAC for the last 8 years . We love it and feel like it is our page at home. " 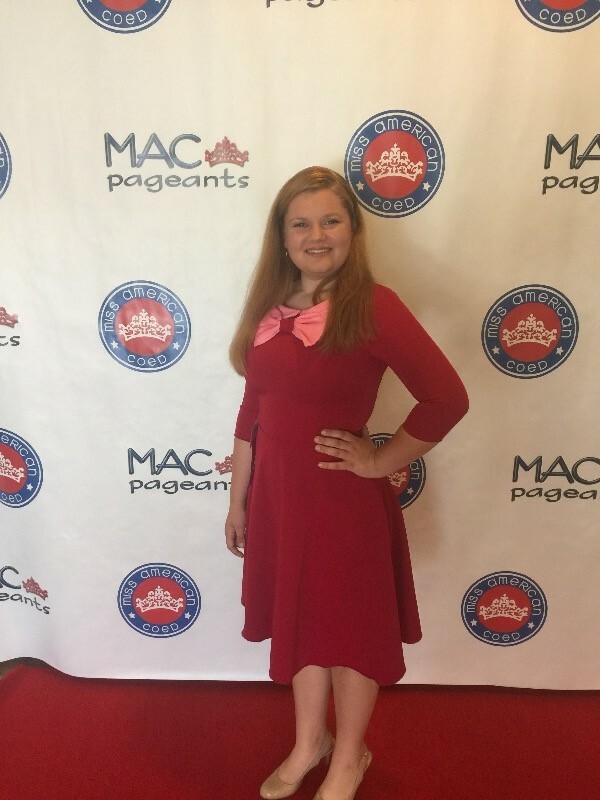 "My overall experience at the MAC Pageant was amazing I had a fun time and you get to meet new girls from all over the state. " "This was our first year at MAC and we couldn't be more pleased. It was organized and well run. The staff were helpful and caring. My daughter said crown or no crown she wanted to return to MAC in the future. Great experience. " 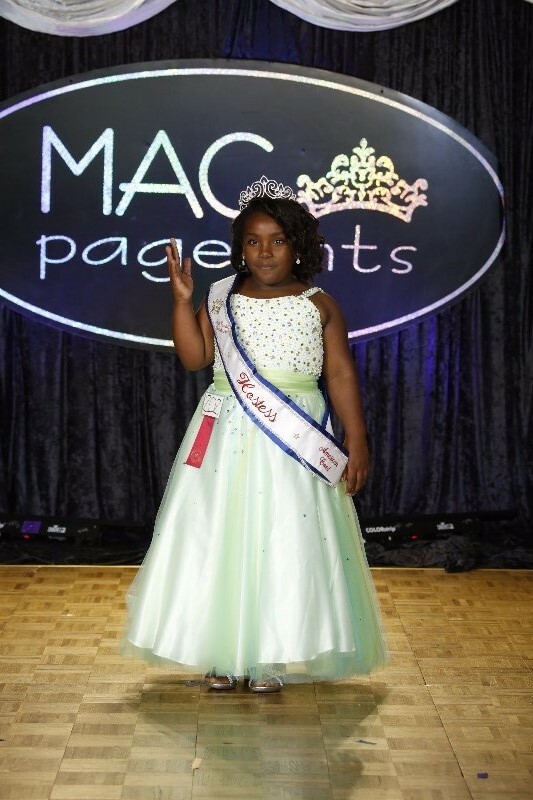 "We enjoyed ourselves at the MAC Texas pageant. Ms. Patty and her staff were fabulous. They made us feel right at home in our own state. We loved the Princess and the frog pajama party. The national and Texas state queens were very helpful as well. We can't wait for nationals in Florida!" "we had a wonderful time at MAC, we met a lot of new friends , I felt the pageant was very well organized and pretty much all questions we had were answered prior to arriving, thanks patty, we love you"
"MAC is a professional and organized pageant system. My daughter loves competing at MAC! Thank you to Mrs. Patty Hawkins for your dedication to MAC, the young ladies who compete, and their families! Karissa Barr"
"Loved it we will definitely be back with friends! 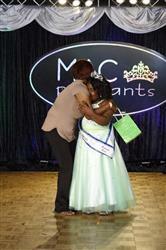 We will be highly recommending this system ❤️"
"I love my MAC pageant experience. Everyone was so nice and I had a blast! " "MAC is a family oriented organization and I can't wait to see everyone at Nationals. 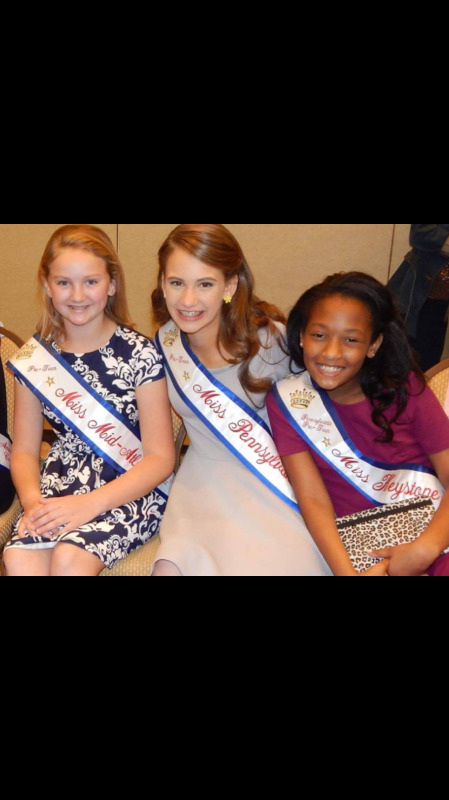 You make just amazing and lasting friendships through this pageant. I would encourage every young lady to try MAC. You will have a blast and learn life skills along the way. 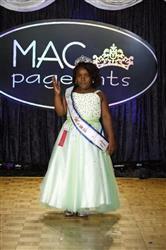 #Macpack "
"Thanks to MAC Pageants, I am who I am today. Five years ago and before my first Coed pageant, I was shy, insecure, lacked ambition for volunteer work, and was academically struggling. 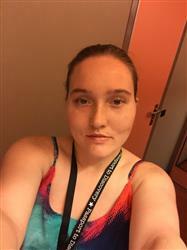 Now, I am outgoing, confident, I am on an academic scholarship along with a member of the National Society of Leadership and Success, and am even in the works of starting my own nonprofit organization for special education children. This system offers so much, it truly is the transformation of a lifetime!" 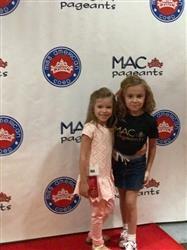 "We always love Mac pageants and have a really great time!!! The staff is very friendly and helpful and the Mardi Gras party was over the top!!! We loved it!" "MAC is a very welcoming pageant. 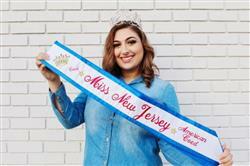 Whether you are a seasoned contestant or this is your very first pageant you will feel welcomed. The staff are extremely kind and helpful! 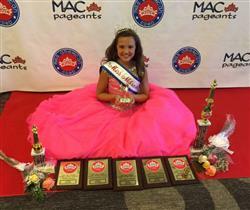 We will definitely compete at a MAC pageant in the future. " "We love MAC, it's like family!!" 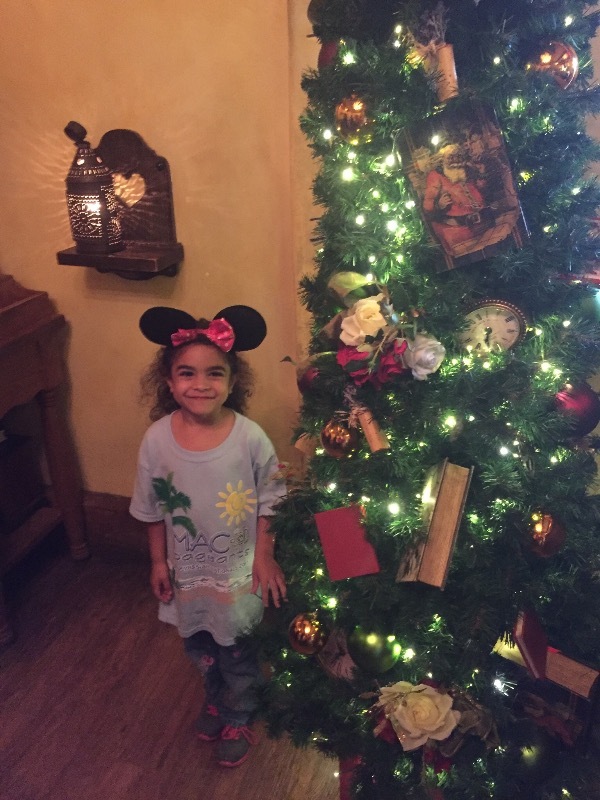 "From the friendly check in, to the Princess PJ Party to the royalty gift exchange! MAC pageant was amazing. This is our 5th year with MAC and every year gets better and better. It is truly a system that makes every girl feel like a queen! I love this system and would highly recommend it to anyone! 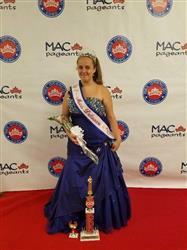 Mom's if youre looking for a fair, stress free pageant system with a family friendly environment, MAC is your system! " "Wonderful experience to build confidence and meet so many wonderful girls"
10 years and we would do it again! "This was our 10th year competing with MAC. As always, events were on time, fun, friendly and appropriate! More than that, though, my daughters always come away with a new friend or 6! These girls are #growingupmac and I couldn't be happier about it. Everyone from the staff, to the director, the contestants and their families as well as even the venue staff are all friendly and accommodating. We have tried other systems and have never found the feeling of home we feel at MAC! " 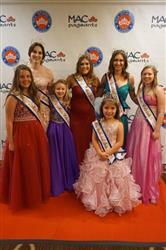 "We had a wonderful time representing Colorado & MAC. This was our first time competing with MAC & it was truly a wonderful experience. We will definitely see everyone again! Thanks again for everything Patty!" "My daughter had an excellent time!!!"